When you choose STIHL, you’re investing in one of the most carefully-engineered, high-performing and durable range of power tools available. So it deserves the best fuel. 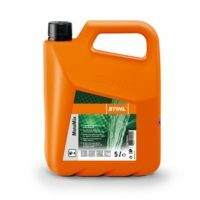 MotoMix is Stihl’s own patented fuel created especially for STIHL 2-stroke engine power tools. It ensures the very best performance and lubrication. So, whether you’re a professional user, carrying out heavy duty jobs, or an occasional user at home – it will help your tools perform better, for longer. Available in 1L and 5L containers. Also here at The Mower Shop we also have a select range of other fuel additives, oils and preservatives. We also have a full range of accessories including Rutland electric fence and a vast array of safety equipment and hand tools.